Yesterday I went through a hair reconstruction treatment at Bulgaria Mall’s hair saloon Mr.Snips and I definitely need to tell you about it. All that sun exposure and swimming have had a negative impact on my hair. It lost its vitality and shine, so a recovery procedure was a must. 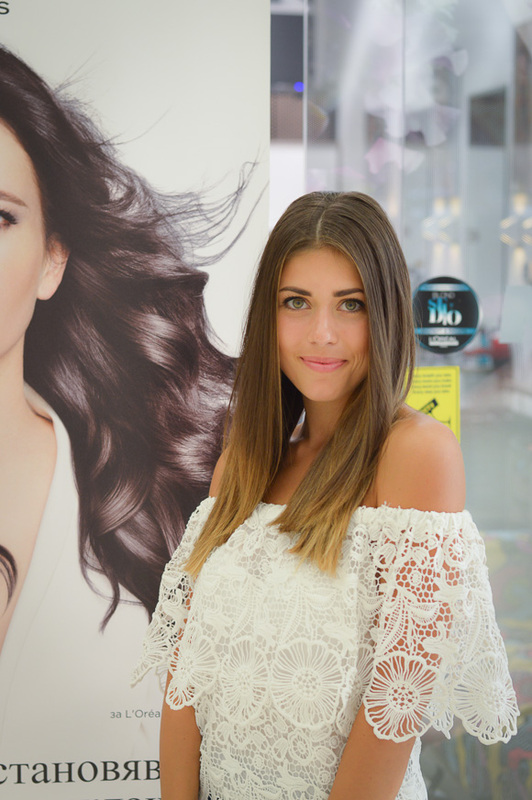 Then, Moni – the senior hair stylist at Mr. Snips, told me about L’oreal Professionnel’s latest treatment. 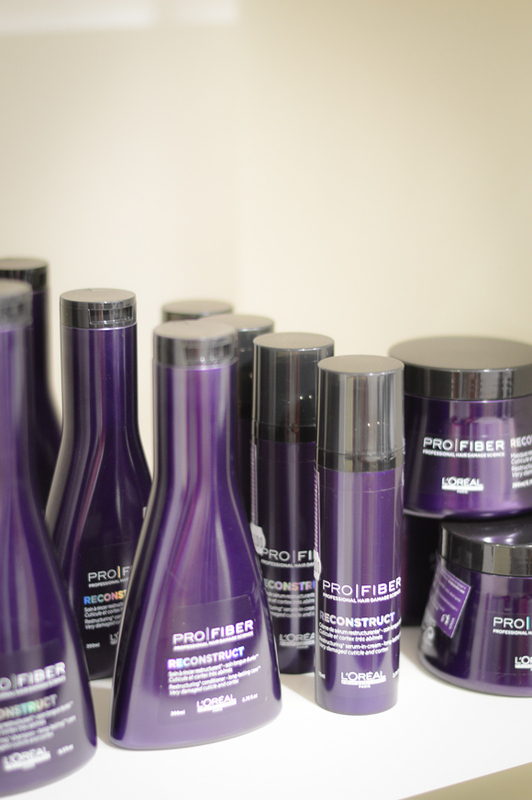 It’s called Pro Fiber and is their first long-lasting recharging haircare programme for damaged hair. It’s got three ranges designed for different levels of thickness and sensitivity. 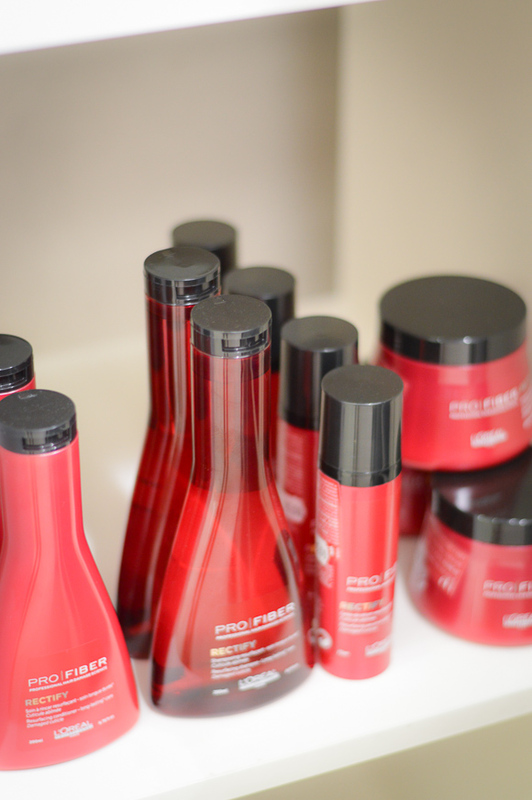 After analyzing my hair condition, Moni decided that we should go for REVIVE – the product series for fine, normal, and slightly damaged hair. Now I will briefly walk you through the process of healthy looking hair. 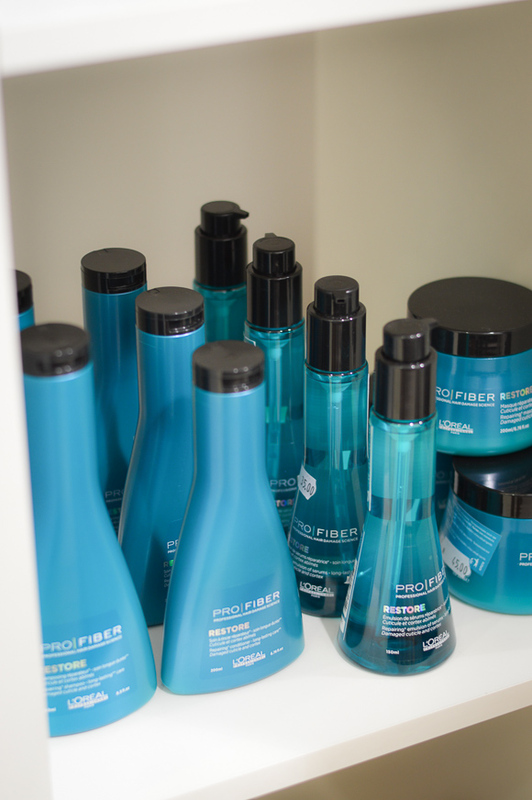 (1) First step involved hair wash with L’oreal Professionnel Pro Fiber REVIVE Shampoo for lightweight and soft hair. 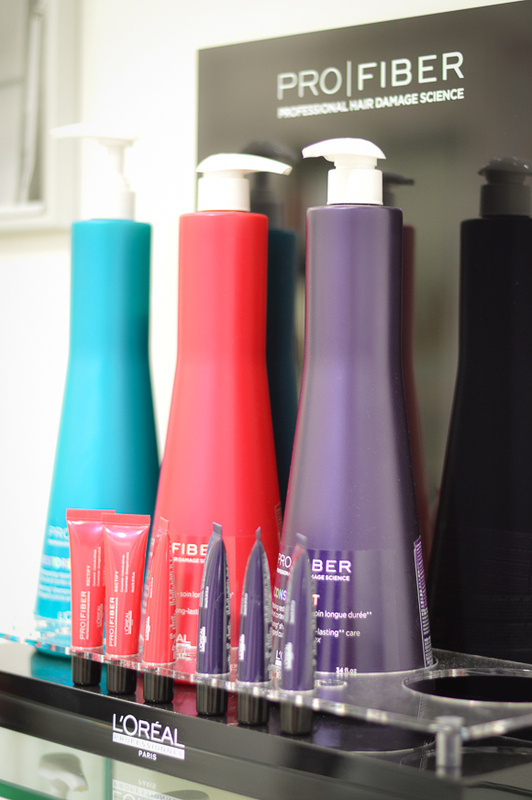 (2) Then REVIVE Concentrate he applied which instantly nourishes hair from root to tips. (3) Thirdly, the RENEW Masque was used to further soften the hair cuticle, and add an intense shine and softness. (4) 15-20 minutes leave-in time followed. 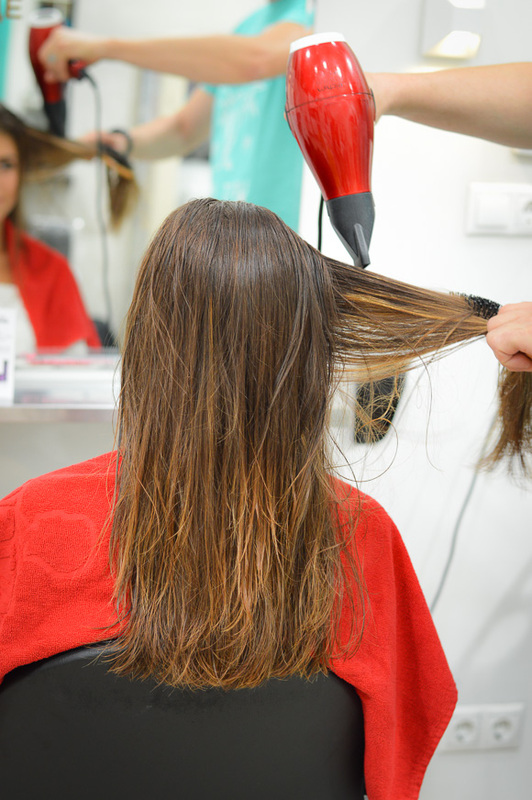 (5) Finally, a blow dry to finish the look and emphasize on the hair softness and smoothness. Voala! The road to perfect hair turns out to be pretty short actually! Now all I can say is my hair looks revitalized, soft, shiny and beautiful. Not to mention how smooth it is! 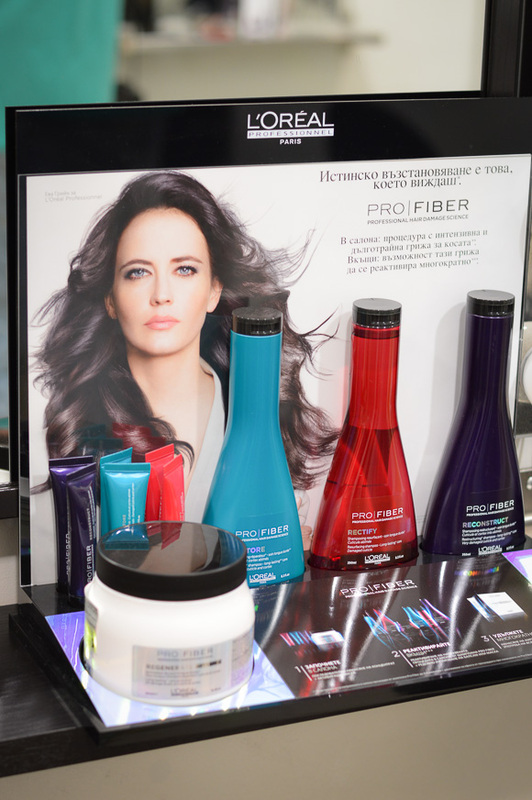 The product series also include the programme RESTORE for medium to thick damaged hair (turquoise packaging), and RECOVER for thick, very damaged hair (purple packaging). However, after indulging in this hair treatment, you can prolong its effect by continuing the programme at home with the RENEW masque and the RE-CHARGE ampoules. Simple and effective at the same time! 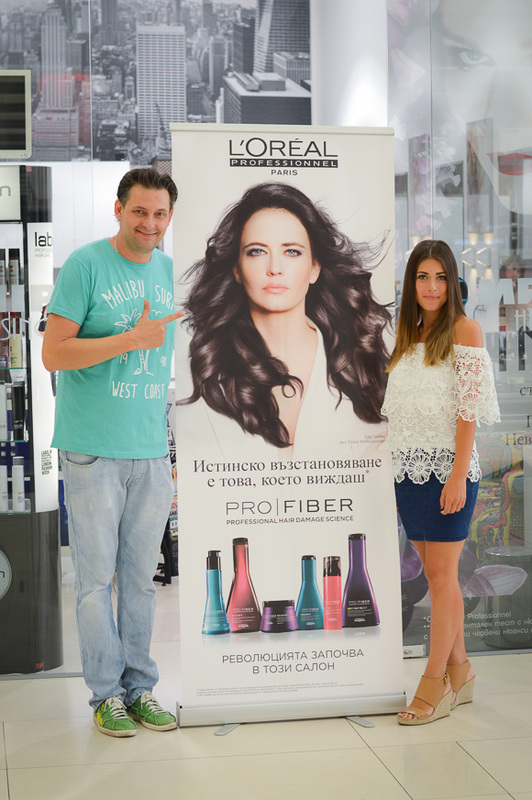 All of the L’oreal Professionnel Pro Fiber treatment is offered at Bulgaria Mall’s hair saloon Mr. Snips. 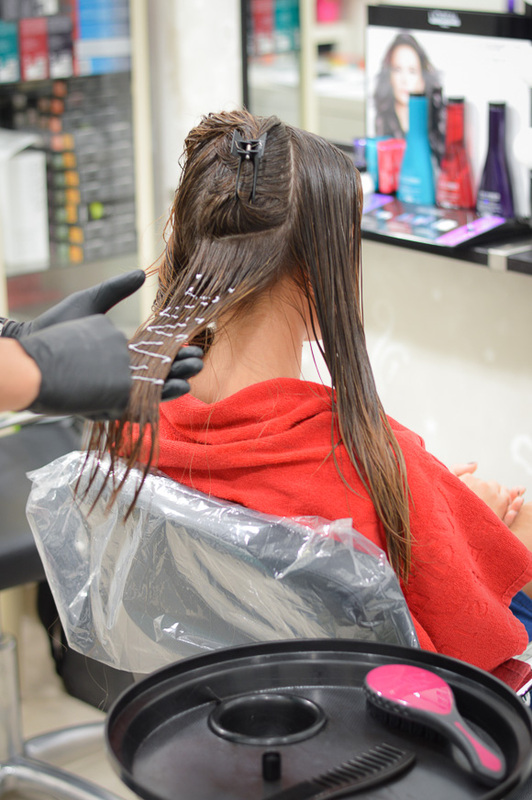 Do you feel you also need a hair reconstruction treatment? Your hair looks beautiful! This is just what I need. It looks so soft and shiny! Your hair looks great, I didn’t even know a treatment like this existed! I will definitely look into it. Thanks for sharing. I would love to have this hair treatment! Have a great day! Love Loreal Professionnel. Need to check out this treatment – looks like a good one. Thank you for the share!